Basic Avalanche Courses for skiers, snowboarders, and ice climbers. Covers recognition and avoidance of avalanche terrain, self-rescue plus lots more. CAA RAC format. In this 2.5 day avalanche training course you can learn the basics: how snow avalanches work, how to recognize and avoid snow avalanche terrain, and self-rescue. You need to be able to travel confidently in winter mountain terrain. Snow avalanche gear- beacons, probes,and shovels are supplied. 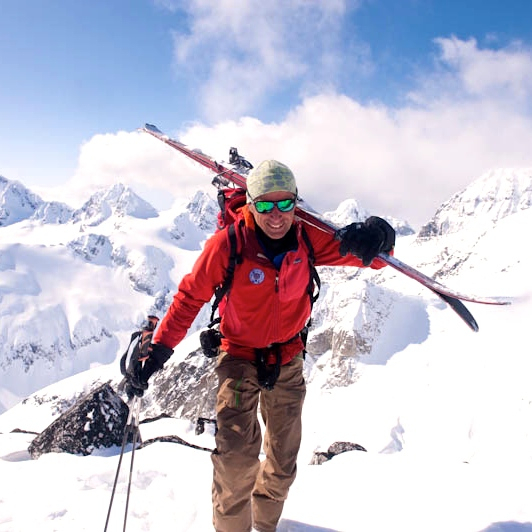 Ski mountaineering skis and skins are available for the course at no extra charge. Your instructor has 30 years of experience as a guide, instructor, forecaster and planner.